SERVING YOUR INSURANCE NEEDS SINCE 1851. We’re excited to share our next #AgentSpotlight – this week we’d like to introduce you to Gaudette Insurance, who will be celebrating 93 years of service this year! Though he suffered from Polio, Roy Gaudette was eager to live a meaningful life and sought work he could do from home. In 1926, he opened the Gaudette Insurance Agency in Northbridge, writing auto insurance policies for friends and neighbors. Roy’s success convinced his younger brother, Gerry Gaudette, to then open his own insurance agency in the Rockdale section of Northbridge. Both agencies enjoyed years of success and after Roy passed away in the late 1930’s, the agencies merged. Then in 1962, Gerry Gaudette Jr. joined his father and the agency with the goal of expanding the business throughout Blackstone Valley, becoming the largest insurance firm in the area by the 1980’s. Gerry Jr.’s son, Lee, joined the business in 1990, ultimately working his way up to become the President of Gaudette Insurance in 1999, a position he still holds today. Aside from being a family-owned business, Lee Gaudette treats all employees like family. He never hesitates to reward employees for their hard work and that’s likely why many employees have stayed with the company for so long. Maryann Newton, Personal Lines Manager, is the longest standing employee having completed 32 years with Gaudette, followed by Helen Scott, who just began her 32nd year with the agency. It’s this type of longevity within the agency that has allowed them to build strong relationships with their clients, many agents having worked with multiple generations of the same families. Gaudette Insurance is also committed to giving back to the community through their involvement with various local non-profit organizations. Currently, Lee sits as Treasurer for The Blackstone Valley Education Foundation, a non-profit organization funded by gifts, school district membership, the Commonwealth’s Department of Elementary and Secondary Education, the Executive Office of Housing and Economic Development and MassDevelopment Corporation. Together these funds help connect students, schools and professionals to businesses to help strengthen college and career readiness. Lee also plays a big role in supporting the Valley Friendship Tour, an organization originally organized by his parents, Barbara and Gerry. 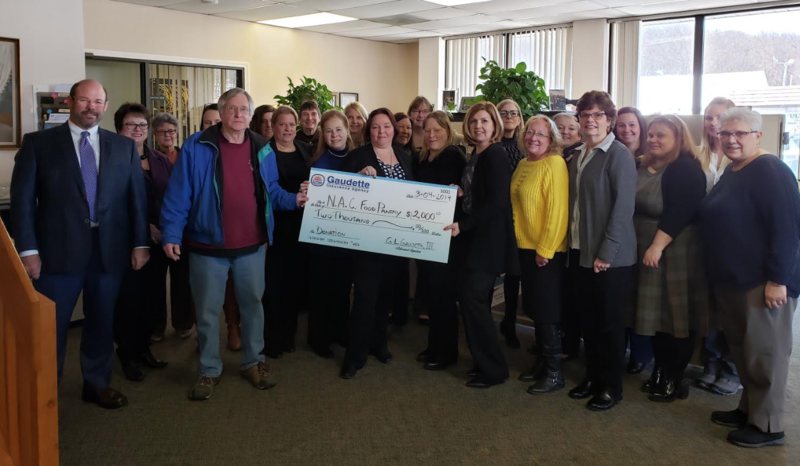 Gaudette Insurance has raised nearly $200,000 over the last 30+ years in support of Open Sky (previously Alternatives Unlimited), which supports over 1,200 individuals in need annually.